There are plenty of things to see at the Musée Carnavalet which is a museum devoted to the history of Paris. My favorite pieces are this portrait of Madame Récamier by François Gérard, and this surprisingly warm and friendly death mask of Henri IV (below.) The museum is free, the space is beautiful (the museum itself is housed in two adjacent hôtels particuliers,) the wifi is free, and it is generally not very crowded. 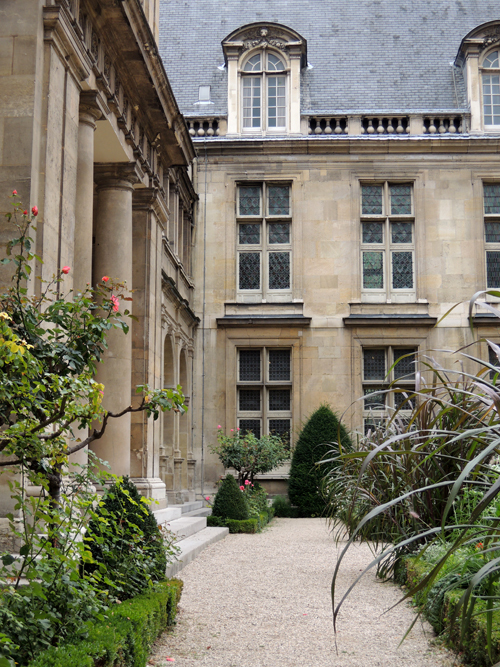 One thing most people don’t know about the Carnavalet is that they offer interesting tours that examine Paris from different angles, either historial or literary. Imagine learning about the Paris of Marcel Proust for just 4€50? Or delving into the Paris of Napoléon III? This just might be one of Paris’ best deals.